In order to play in the U-6 league, girls must be 4, 5, or 6 years old as of January 1 of that season. The U-6 teams will play on Monday & Wednesday nights at 5:00pm or 6:30pm. Regular season games will begin in the middle of May. The season will be completed by July 4th. Games will consist of 45 minutes of practice time and a 45 minute game, progressing to more game time than practice time by the end of the season. Games will not be scored and outs will not be counted. $50 per player (Save $10 by registering before February 15th). 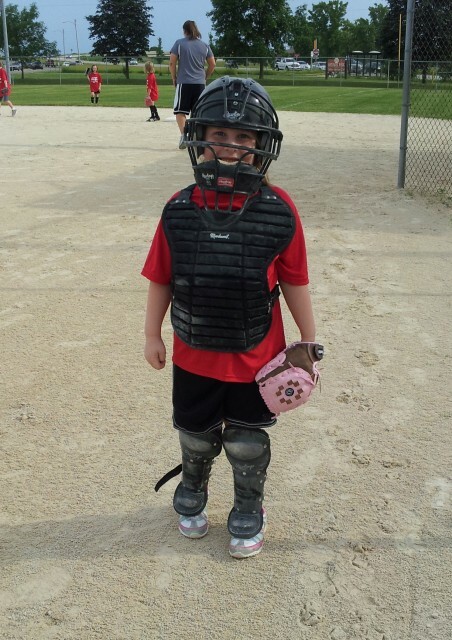 Includes the usage of bats, helmets, and catching equipment. Each player is to provide their own glove. A team shirt will also be provided.